Update, 07.12.2018: Die Multipool-Suche gibt es jetzt auch als Webinterface. Der Multipool-Expertenmodus im Aleph Katalogisierungs-Client dient der schnellen Recherche in mehreren Datenbanken gleichzeitig. Dabei können die Datenbanken entweder direkt auf dem Aleph-Server liegen oder als externe Ressourcen über das z39.50-Protokoll angebunden sein. 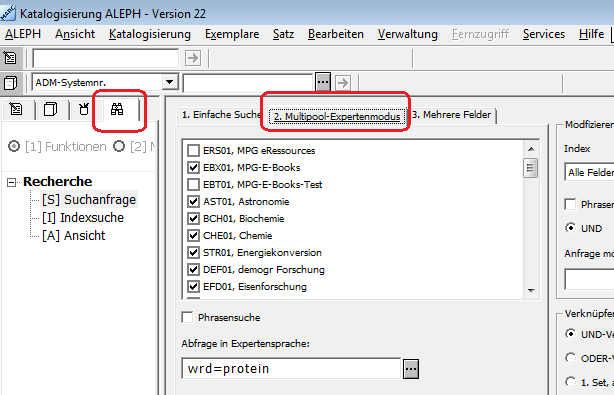 Zusätzlich zu den lokalen Bibliotheken ist der MPI Bibliothekskatalog im GBV auf dem Aleph-Sever bereits vorkonfiguriert. 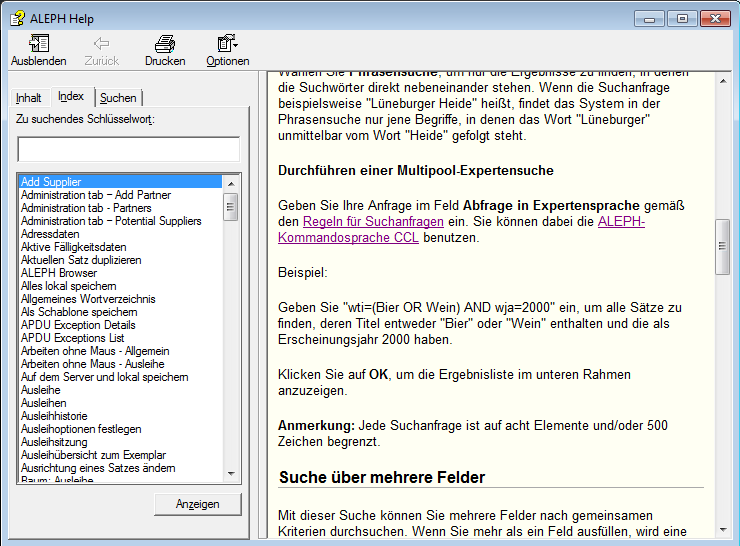 In 2002 the Max Planck virtual Library (vLib) was launched, with the idea of making all information resources relevant for Max Planck users simultaneously searchable under a common user interface. Since then, the vLib project partners from the Max Planck libraries, information retrieval services groups, the GWDG and the MPDL invested much time and effort to integrate various library catalogs, reference databases, full-text collections and other information resources into MetaLib, a federated search system developed by Ex Libris. With the rise of large search engines and discovery tools in recent years, usage slowly shifted away and the metasearch technology applied was no longer fulfilling user’s expection. Therefore, the termination of most vLib services was announced two years ago and now we are approaching the final shutdown: The vLib portal will cease to operate after the 31th of October 2018. 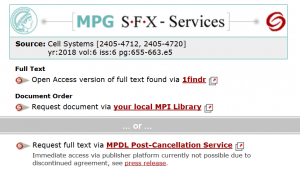 As you know, there are many alternatives to the former vLib services: MPG.ReNa will remain available for browsing and discovering electronic resources available to Max Planck users. In addition, we’ll post some information on how to cross search Max Planck library catalogs soon. Let us take the opportunity to send a big "Thank you!" to all vLib users and collaborators within and outside the Max Planck Society. It always was and will continue to be a pleasure to work with and for you. Goodbye!… and please feel free to contact us in case of any further question. The May 2016 release brought an interesting functionality to the Primo Central Index (PCI): The new "Citation Trail" capability enables PCI users to discover relevant materials by providing cited and citing publications for selected article records. At this time the only data source for the citation trail feature is CrossRef, thus the number of citing articles will be below the "Cited by" counts in other sources like Scopus and Web of Science. Short video demonstrating the citation trail feature (by Ex Libris). Last year, the information provider ProQuest decided to discontinue its "Illustrata Technology" and "Illustrata Natural Science" databases. Unfortunately, this represents a preliminary end to ProQuest’s long-year investment into deep indexing content. 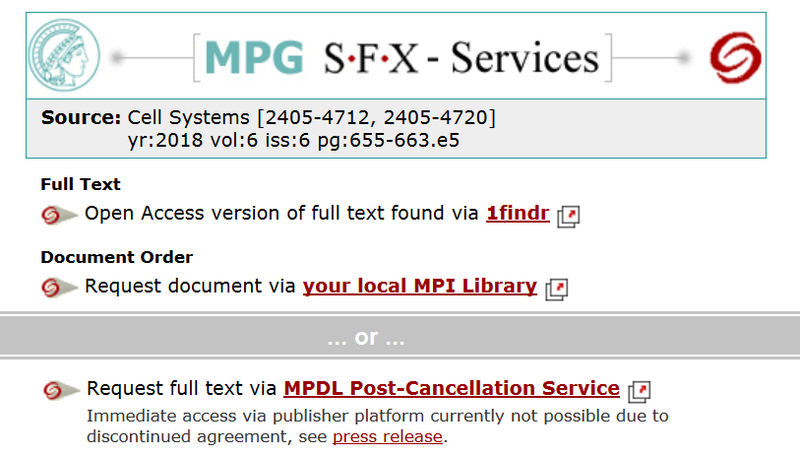 In a corresponding support article ProQuest states that there "[…] will be no loss of full text and full text + graphics images because of the removal of Deep Indexed content". In addition, they announce to "[…] develop an even better way for researchers to discover images, figures, tables, and other relevant visual materials related to their research tasks". The MPG.ReNa records for ProQuest Illustrata: Technology and ProQuest Illustrata: Natural Science have been marked as "terminating" and will be deactivated soon. The MPG Resource Navigator MPG.ReNa is now accessible via https only. If in doubt, please double-check any routines and applications loading or embedding content via MPG.ReNa APIs. Please note that you may need to re-subscribe to resource feeds, or update URLs of RSS widgets in your Content Management System, etc. 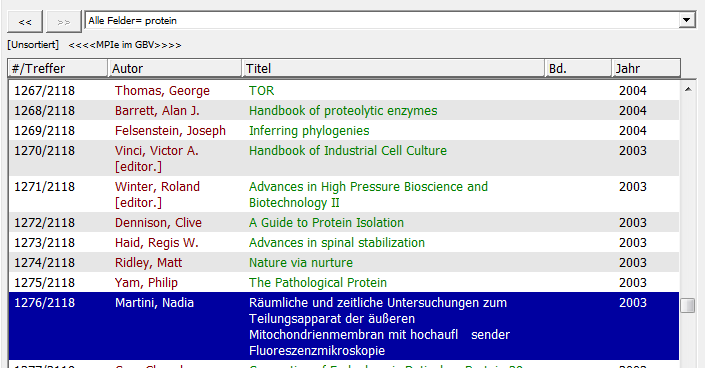 The Max Planck virtual Library has been scheduled for termination a considerable while ago. After a long period of continued availability, vLib services have eventually been downsized. Most search targets have been deactivated. User login has been disabled. Please click here for more information. Note that most MPG Library Catalogs continue to be cross-searchable. 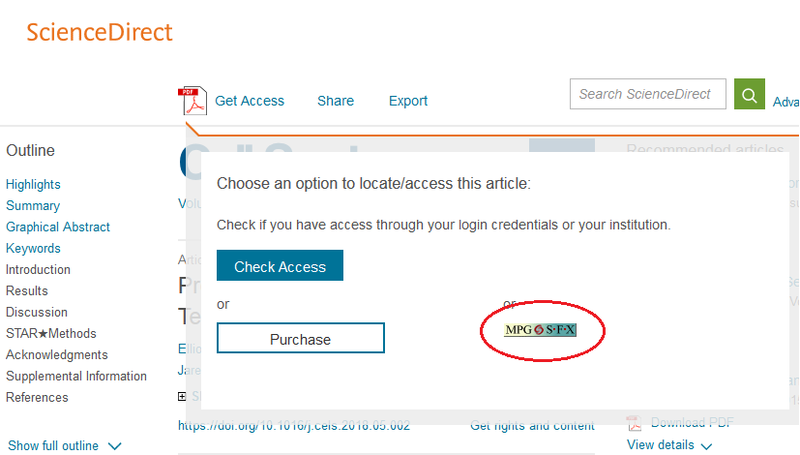 Successor to vLib is MPG.ReNa for browsing electronic resources, and its Find Literature service for global searching.